Mike Linksvayer: Since the early 1990s Microsoft has held a lucrative near-monopoly in “office suite” software for word processing, spreadsheets, slide presentations and databases. In 2013 alone, Microsoft’s business division made US$16 billion profit on sales revenues of US$24 billion – an astounding upward transfer of wealth from software users to Microsoft made possible by copyright law, Microsoft secrecy about its programs, and the power of “network effects” created by widespread usage of its programs. Microsoft used every trick in the book to lock users into a dependency on its software. One technique, for example, deliberately underdocumented the technical specifications for software, which made it impossible for non-Microsoft programs to interoperate perfectly with Microsoft Office. Because such performance is unacceptable to many industries and users, Microsoft in effect made its software noncompatible with other systems as a way to protect its market dominance and reap enormous profits. The irony is that software developers were technically capable of using the Internet to collaborate online to produce office suite software. But this was not widely recognized until developers came together in the 1990s, working outside of large, proprietary software companies, to create Linux and the Apache Web server software. The success of these and other open source projects began to put pressure on many proprietary vendors as consumers and developers realized that they had alternatives. Even many large companies such as IBM and Intel started to see business opportunities in contributing to the development of open source software. The code might be free to everyone, but they could make money by providing technical support and service, as well as custom adaptations of the code. 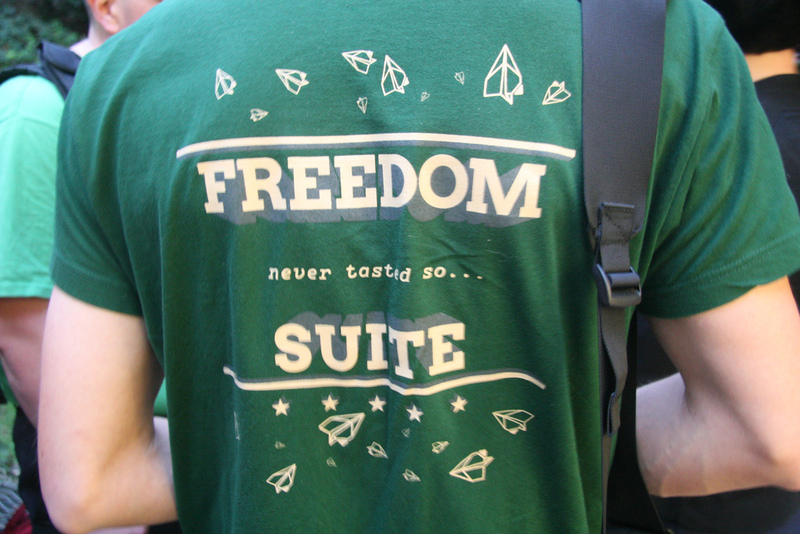 Securing freedom for end-users of software has been elusive, however. Programmers regularly predicted that the next year would become “the year of the Linux desktop,” in which open source office apps would become popular, but these visions never materialized. One bright spot, however, was OpenOffice.org, a corporate-controlled word processing program that a corps of dedicated software developers improbably converted into an authentic software commons. The story begins when Sun Microsystems, a company that once was a pioneer of proto-open systems, began to feel competitive pressure from open systems like Linux. With grandiose aims of displacing Microsoft, Sun acquired a German company in 2000 and released an open source version of StarOffice called OpenOffice.org (OOo). But it was unclear from the start how Sun would work with outside developers and whether OOo could break Microsoft’s near-monopoly. Despite Sun’s relatively progressive corporate ethic, it gave itself absolute control over project governance for OOo because it wanted to produce a “shrinkwrap” product. This proved to be a big disincentive to non-Sun developers to participate in improving OOo. In response, non-Sun developers in 2002 began providing their own versions of OOo, which they included in popular distributions of Linux in preference to Sun’s version. It was as if the commoners would not be thwarted in their drive to create a software commons! Another force driving this effort forward has been Open Document Format (ODF), a major standards effort to produce an open and fully documented set of formats for office applications. The goal has been to ensure that applications from different vendors and communities could interoperate, thereby eliminating a major source of vendor lock-in. OOo was among the first applications to support ODF in 2005. Microsoft began its own major effort to sabotage the standards process with a competing format, OOXML. It designed its software with proprietary extensions to OOXML, effectively retaining control over its formats as a tool to prevent users from turning to competing vendors. While Microsoft succeeded in monkey-wrenching the process (see its current profits), ODF has made both technical and policy progress that will enhance its prospects, such as an authentic interoperability among different programs and legal mandates by various public bodies that only ODF-compliant software may be purchased. Despite Microsoft’s resistance to open formats, OOo went on to become the main alternative to Microsoft, in part through the sheer attrition of proprietary vendors. But Sun, which continued to tightly control OOo development, was by the late 2000s a troubled company with its main server business in tatters due to competition from Linux. The prospects for OOo became even more perilous when the software giant Oracle acquired Sun for its server and Java technology. The writing was on the wall: OOo would not contribute to Oracle’s profits, and would likely be abandoned. This dismal prospect galvanized the OOo community to take steps to convert OOo from a declining corporate sideline into a robust software commons. They “forked” the project (started a different development pathway for the code) by creating LibreOffice. Nearly all developers outside Oracle and Sun joined the fork, and nearly all communities with Linux distributions made plans to ship LibreOffice (instead of OOo) to users. A German nonprofit, The Document Foundation, was set up to give the project permanent community-oriented governance. Although these events happened very quickly, they were possible only because the groundwork had been laid by nearly a decade of commoning and community that had developed around non-Sun OOo builds and ODF advocacy. It was no surprise that Oracle then terminated OOo development. But rather than cooperating with the new LibreOffice, Oracle donated the OOo code to the Apache Software Foundation, a trusted nonprofit steward of open source projects. This resulted in unnecessary acrimony between supporters of LibreOffice and the new splinter project, Apache OpenOffice. However, as two open source projects working on largely the same code, there are strong incentives for the two to collaborate – so LibreOffice happily uses code from Apache Open Office. LibreOffice has clearly won the hearts and minds of the free and open source community by making it as easy as possible for anyone to contribute – and impossible for any one entity to seize control the project’s governance. As a result, LibreOffice’s features, user interface and interoperability with Microsoft‘s quasi-proprietary formats have improved greatly since the fork. This has put it in a better competitive position relative to Microsoft Office than any of its predecessors enjoyed. Its popularity has also been fueled by large-scale adoptions such as the City of Munich, Germany, and other municipalities. While these developments might normally accelerate LibreOffice’s assault on Microsoft’s near-monopoly, the shift in computing from desktop applications to the cloud and mobile devices is undercutting such gains. Google Docs, for example, has become an essential organizing tool by providing an online office suite that enables real-time collaboration on documents; it runs on Google’s servers and is accessed by individual web browsers. Google Docs does not generate the same sort of near-monopoly profits as Microsoft’s suite of office software, but it does entail a much more direct loss of user control: Google can change the software at any time, and access all files edited and stored online. Microsoft has also produced its own online version of Office, with the same properties as Google Docs – leaving commoners to once again play catch-up with proprietary vendors. LibreOffice Online has existed in prototype form since 2011, but only recently gained a dedicated development team. In 2016 LibreOffice Online should provide a robust alternative to reliance on corporate-controlled proprietary services for collaboration and organizing. The pattern of a corporate steward of an open source project going bad, followed by a community revolt, plays out over and over. The database program once owned by Sun, MySQL, is the next best-known example. This commons-based, post-Oracle fork of code is known as MariaDB. The example of LibreOffice and ODF standards, however, point to the great potential of open governance, open development processes, and collaborative financing and marketing – and, indeed, the promise of public policy advocacy to provide legal support for commons-generated software. With motivations ranging from local skill development to national security, governments around the world are requiring the evaluation of open source options in software procurement (Italy), banning Windows 8 on government computers (China), and mandating support for open formats (UK). 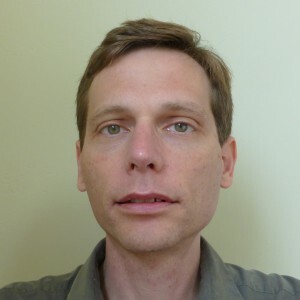 Mike Linksvayer (USA) serves on the boards of Software Freedom Conservancy, OpenHatch, and AcaWiki, and is a member of the Open Definition Advisory Council and the steering committee for Snowdrift.coop. From 2003 to 2012 he served as Chief Technology Officer and Vice President of Creative Commons.